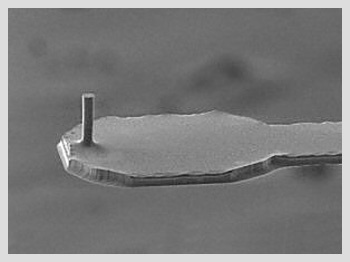 Applied NanoStructures silicon probes are manufactured out of prime grade, low resistivity n-type Antimony doped, single crystal silicon. 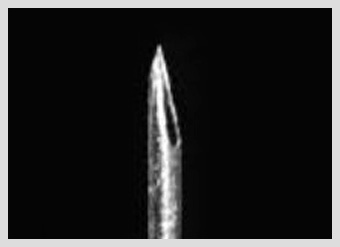 Our well-established silicon technology combined with our novel micro-fabrication processes are the key ingredients for achieving high quality monolithic probes with unprecedented tip sharpness. We have many standard silicon probe series designed for a wide variety of applications. 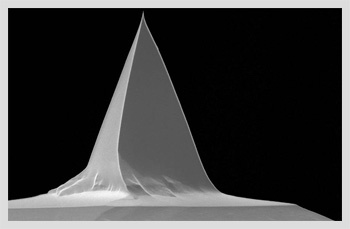 Integrated silicon pad at the end of cantilever for laser reflection without a reflex coating. Versatile tip which can be made hydrophobic or hydrophilic for easy functionalization. Availability with one V-shaped or Rectangular shaped cantilever per chip, allowing the imaging of soft and delicate samples without disturbing the samples. 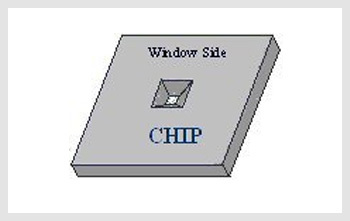 Handle chip (substrate) made out of silicon with alignment grooves, designed to fit in to most SPM/AFM instruments. Ease of establishing electrical contact using backside metal coating. 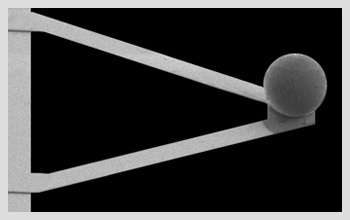 The only commercially available probes that allow for high resolution imaging in fluid without reflex coating. In addition to providing you with our standard catalog of products, Applied NanoStructures enjoys working with customers to develop new probes or devices for advanced applications. Our experienced Research and Development team takes pride in using our knowledge in silicon nanofabrication technology to realize these new ideas. AppNano produces thin membranes made of Silicon, Silicon Oxide, and Silicon Nitride. Each film can be coated with various materials according to customer request. The size of the chip, the size of the window, and the thickness of the membrane can be varied to fit different custom applications. Our PORE-NI line of products are designed for various biological applications. These nanopores are microfabricated using Silicon Nitride (NIWD) membranes. 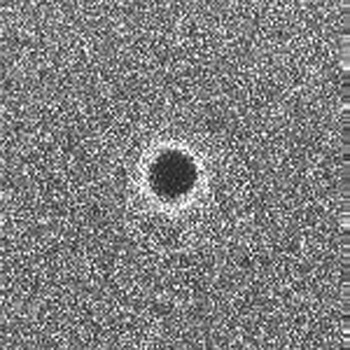 Nanopores can be ordered with a single pore, or in a 2x2 or 5x5 array. Our PORE-OX line of products are designed for various biological applications. These nanopores are microfabricated using Silicon Oxide (OXWD) membranes. 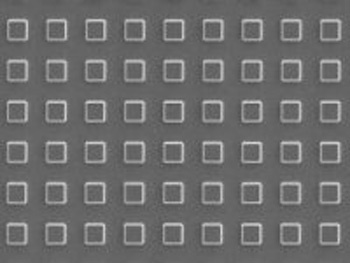 Nanopores can be ordered with a single pore, or in a 2x2 or 5x5 array. 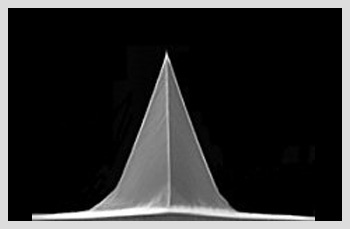 Step Height Standards are uniquely designed for X,Y, and Z calibration of scanning probe microscopes and profilometers. Our Step Height Standard features are defined in thermally grown silicon dioxide on silicon substrate. A layer of Cr is deposited to harden the surface. Our step height standards are available in several heights.